A red colored Goldendoodle has a coat similar to the deep red color of an Irish Setter. At Paws of Love, we try to provide the color coats potential buyers have interest in. With years of experience, we have honed the practice of breeding red Goldendoodle puppies that carry a non-fading gene. Our red Goldendoodle puppies have the most chance of remaining real reds into maturity. 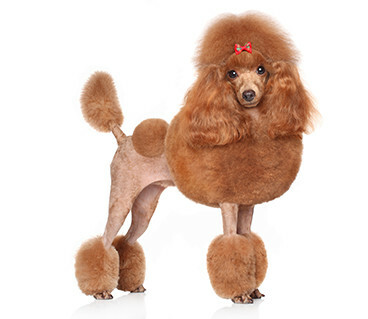 We protect the genes that illuminate the red coat by thoroughly researching and examining the pedigree of our purebreds red Poodle parents several generations. Keep in mind, as your puppy matures and goes through changes, their coat color may be affected. Diet, hormones, stress, and sun exposure can create temporary discoloration to their shade. Call us at (786) 942-4288 to find out more about this color of Miami Goldendoodle.